After a long work day, nothing could be more relaxing than propping up your feet, sitting back, and listening to your jazz records while you sip on your go-to drink. If you have kids around the house, you can take away the last two conditions and you’ll still feel like you’ve landed on a cloud simply by sitting in a recliner. No wonder why dad demanded to have his own chair which no one should ever touch or sit on. Recliners have moved out of the study in recent years and have managed to invade spaces such as the living room or even the bedroom. Recliners are like chairs but with a more revered status. They still provide seating but their function is a bit more refined. No other seating option in your home will allow you to recline and put your feet up as comfortably as a recliner does. Of course, when the guests come, you do not want to have that very conspicuous recliner obviously present though. For this reason, recliners of today need to have mechanisms wherein the footrest can be tucked in as easily as it can be pulled out. Use symmetry to balance the aesthetics of your room. Any family room needs to have a lot of seating options. In order to design your family room, you must make use of symmetry to make sure that there is balance. One way to achieve that is by placing two couches parallel to each other. 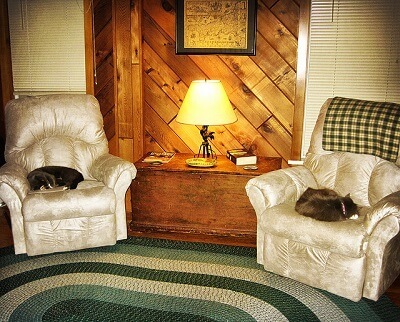 On one end of those couches, you can position two recliners which are able to transform into armchairs. Make sure that this seating set-up is facing a view or a focal point, such as a fireplace or an entertainment set. Since in that given set-up you won’t be placing your recliner against a wall, it would be a wise thing for you to inspect the backs of you recliners before commissioning them somewhere where their backs can be seen. Use the recliner to maximize a very limited space. While you might think that a loveseat is the way to go if you have a very limited living room space, but the truth is that a recliner would allow you to maximize that small space better. Instead of placing a bulky couch and then being very restricted in the other pieces of furniture you can add to the entire set-up, you can choose to have a recliner paired with an ottoman to complete the entire living room look. Use recliners for your television room. If you have a small pocket in your house enough for a television set and a pair of recliners, then, by all means, create that haven. Experts from Nick Scali (NCK) suggest that you pick out minimalistic recliners to prevent cluttering up your small space. Make sure that you pick out recliners with scaled down arms, for instance, to get rid of that bulky feeling. With a pair of recliners, you can make sure that there is enough room for moms and pops. Stacey Watts, the writer, loves decorating homes with the right furniture. She also plans and designs outdoor spaces with wooden furniture. When not blogging, she shops for home decors.